Gloria is a writer for Environmental Finance. 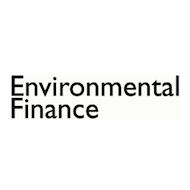 Environmental Finance is the leading global publication covering the ever-increasing impact of environmental issues on the lending, insurance, investment and trading decision affecting industry. Wind Energy Sector to Collapse in 2013?